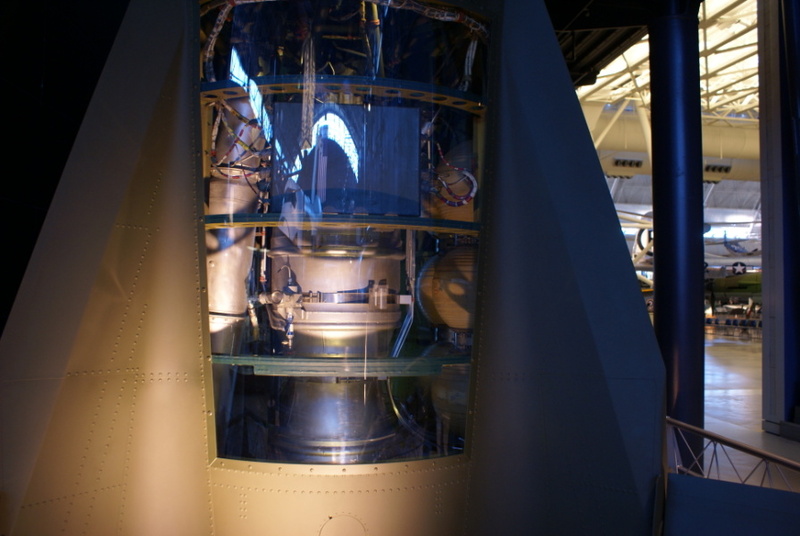 View into the Redstone missile's engine compartment. Note the two sets of triplex air storage spheres to the right of the engine. Pressurized air from these spheres passed through the engine's heat exchanger, where it was expanded and subsequently used both to pressurize the alcohol tank and as a supply for the stage's pneumatic system. The triplex spheres look very similar to those used on the Block I Saturn I S-I stage.